Before I explore the key takeaways and the 9 SEO tips, here’s some stats identifying just how powerful SEO on Google can be. If you want more stats, here’s an infographic with 72 SEO related statistics. Search engine result pages (SERPs) have transformed from a list of blue links to a combination of ads, answers, maps, images, links and more. 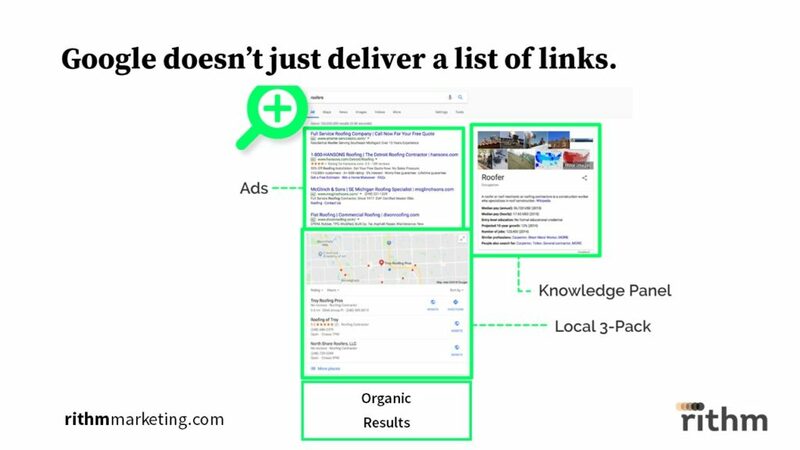 Roughly 10 years ago the SERP for a local business category consisted of a few search ads and a list of “organic” results that were ranked based on the relevance of a link to a particular search. Today, the organic results are secondary to ads the “knowledge panel” and the “local 3-pack” (above). 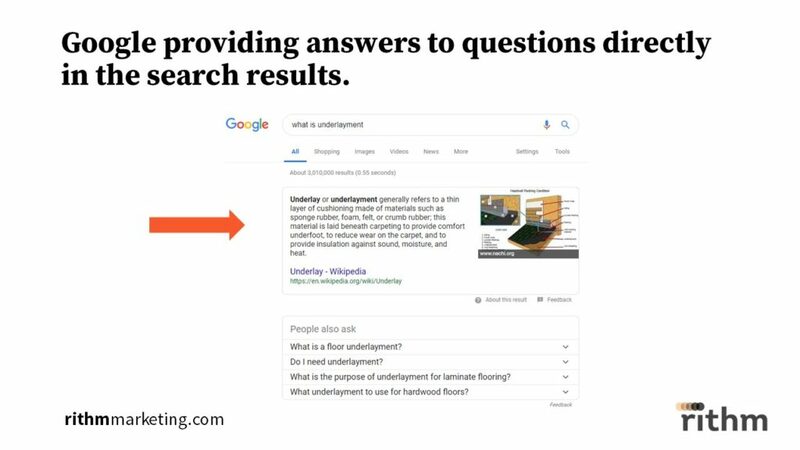 Additionally, Google is now delivering “answers” (above) also known as “rich snippets” where a searcher asks a question and Google provides an answer. While the answer comes from third-party websites, often users don’t need to click through because Google’s result satisfies their query. The result of these more robust and sophisticated SERPs is a minimized need to click on websites, especially on mobile devices (see chart above). 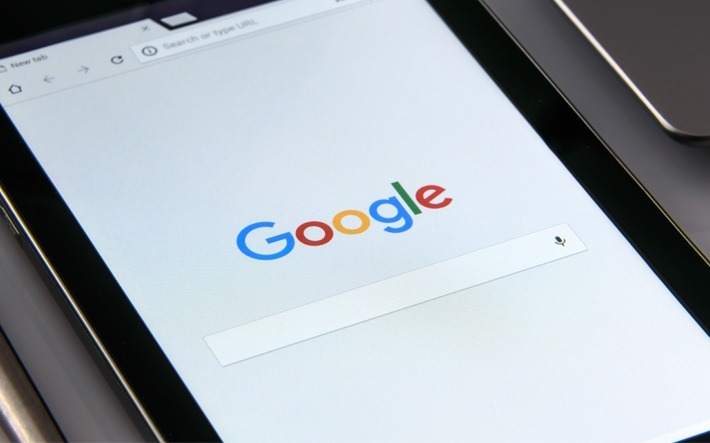 When users are provided with an answer that suits their needs, or Google makes it easy to engage with the business directly in the search result, there becomes less of a need to leave Google. 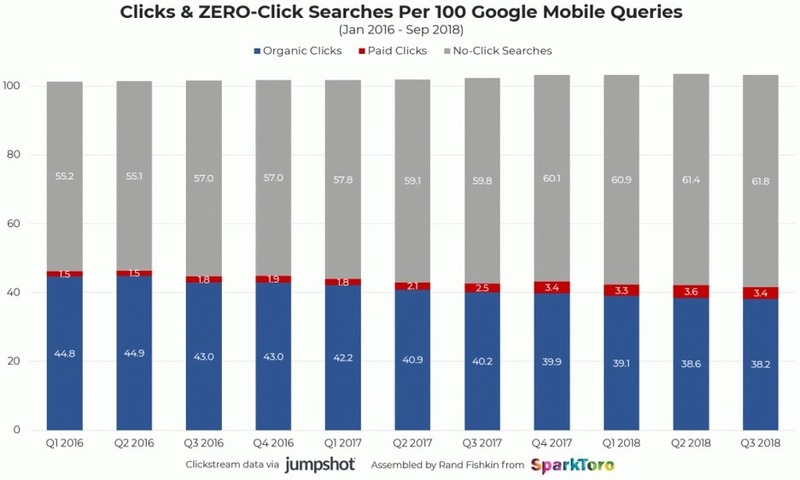 Many businesses and marketers are concerned with what this means for their websites as the rate of “no click” searches only appears to be growing. All of this is to say that the SEO landscape is changing on Google, and small businesses and the marketers that serve them will need to adjust strategies with more of a focus on improving rank on the local 3-pack for relevant searches. While Google has historically said that relevance, distance and prominence are the greatest ranking factors, these factors are ambiguous and require unpacking. The big takeaway here is that Google My Business (GMB) is an increasingly important local search ranking factor. Ten years ago, GMB didn’t even exist and more traditional SEO (on-page signals) were more influential ranking factors than they are today. One factor that has remained important for the last 10 years is customer reviews, which are important not only for SEO, but help potential customers make decisions and help business onwers improve their businesses. These are expected to remain influential moving forward. Understand Your Customer with Keyword Research: Use Google’s keyword research tools to find out what consumers are searching to find businesses like yours. Optimize Google My Business Listing: Fill out as much information as possible about your business and upload your logo. Verify your listing (via phone or mail). Regularly Upload Photos/Videos to GMB: Publish photos and videos of your office, your products, your work product, your staff, etc. Use GMB Posts: Consider this another outlet for your content and messages. No need to reinvent the wheel, simply publish content you’re already sharing on other channels (blog, email, social, etc.). 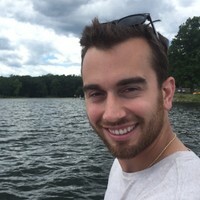 Manage Your Reputation (Reviews): Make it easier for your customers to review you. Yelp doesn’t want you to ask for reviews, but make it clear where and when customers can leave you a review. Clean Up Your Data/Citations: Claim and verify your local business information on listing sites across the web. Start with GMB, Bing, Facebook, Yelp and Apple Maps. Earn Links on Reputable Sites: Sponsor local events or organizations that will link to your website from their site in exchange for your support. Optimize Your Website Content/Code: Make sure your website page titles, content and meta data include keywords you want to rank for. Develop Authentic, Engaging Content: Share insight, promotions, discounts, etc., that add value to the lives of your audience. And be authentic! See to it that your website is mobile-friendly. “Secure” your website with an SSL certificate (HTTPS). Make sure the pages load quickly and aren’t bogged down by large image files and graphics. DIY or Hire an Agency? Some of these tactics can be accomplished on your own, but being truly effective will require time, technical know-how, strategic insight, creativity and even more time. Most small businesses don’t have a minute to spare, so handing this work off to an expert is often the best way to go. However, if you want to at least get started, you could definitely optimize your GMB listing. At the low end, be prepared to spend $500 – $2,500/month. Since SEO is multi-faceted (website, reviews, GMB, etc. ), you must invest in multiple services. Better to work with agencies that offer a full-suite of services. Ask if the tactics in this post are included in the package. Don’t expect results right away. Give it at least 1 year. Make sure it is very clear what you are paying for. If you have any questions, or you would like to discuss your business’s SEO even further, contact us today.